Casa Bella Plaza Latina — whose building was once slated to become a pawn shop--is a colorful mercado with a wide variety of locally owned businesses. Its 35,000-square-foot commercial space is located at 925 Payne Avenue. The project was driven by a cooperative of ten emerging Latino entrepreneurs. The renovation also provided refurbished office space for the East Side Neighborhood Development Company (ESNDC) which was one of the sponsors of the project. With the booming growth of Latinos on the East Side, congregation members of the nearby Sacred Heart Church asked the organizers of the Mercado Central project in Minneapolis to help develop a similar enterprise in Saint Paul. 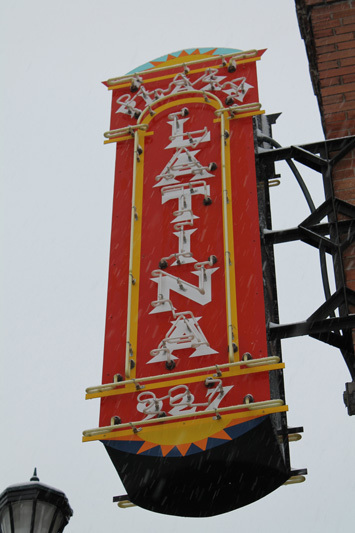 Plaza Latina was established on Payne Avenue by members of the Mercado Central development team in collaboration with ESNDC. In 2000 the first economic forum was implemented and led to business planning and leadership development and between then and 2002 the project opened with its first ten tenants. They were the initial Latino businesses to open on the East Side of the city. Today the plaza contains, among other things, a small restaurant, a jewelry store, dress shop, a hair salon, an alteration business, an insurance agency, and two non-profit service agencies. Other new Latino enterprises have joined the older businesses that have served the community for many years -- a clothing and school uniform operation, a speciality work shoe store, a steak house, an antique shop, a few few bars and restaurants and the headquarters of the East Side Arts organization. 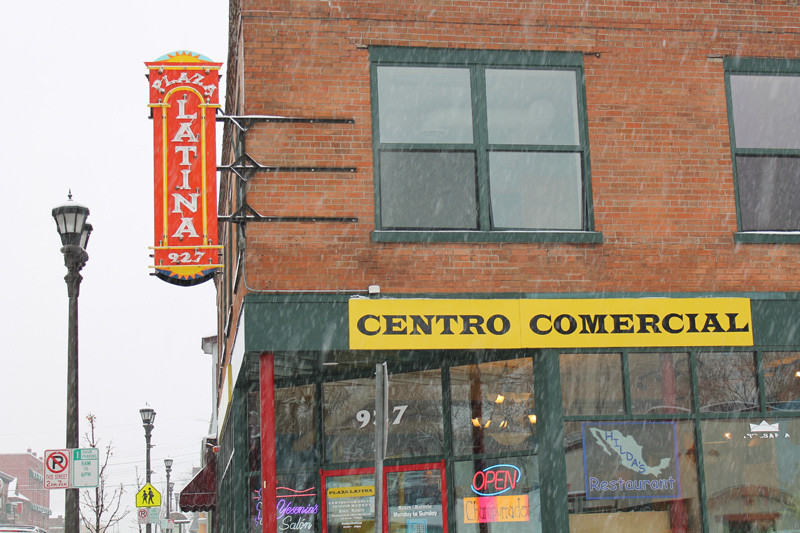 Since then, many other Latino operations have moved into the avenue, ranging from restaurants, groceries, clothing stores and speciality shops in a manner similar to that of the Swedes, Italians and other immigrants throughout Payne Avenues history. Steve Trimble, “Casa Bella Plaza Latina,” Saint Paul Historical, accessed April 21, 2019, https://saintpaulhistorical.com/items/show/289.